The term ichthyosis is derived from the ancient Greek root ichthys, meaning fish. Hereditary ichthyosis vulgaris is an autosomal dominant genetic disorder first evident in early childhood. It is the most common form of ichthyosis, accounting for more than 95% of ichthyosis cases. Mutations in genes relating to skin barrier formation produce it. The protein filaggrin is important in maintaining effective skin barrier function. Loss-of-function mutations in the profilaggrin gene (FLG) are evident in up to 10% of the population, causing ichthyosis vulgaris and representing a major risk factor for the development of atopic dermatitis. *profilaggrin, a high molecular weight filaggrin precursor. Profilaggrin, synthesized in the granular layer of the epidermis, is a major component of keratohyalin granules. Through various posttranslational modifications, profilaggrin is converted to filaggrin, which aggregates keratin intermediate filaments in the lower stratum corneum. Filaggrin is proteolyzed and metabolized, producing free amino acids that may play a critical role as water-binding compounds in the upper stratum corneum. Normal cycles of skin hydration and dehydration contribute to normal desquamation*. Although the skin in hereditary ichthyosis vulgaris looks and feels normal at birth, it gradually becomes rough and dry in early childhood. Scaling tends to be most prominent on the extensor surfaces of the extremities and absent on the flexor surfaces.The diaper area is usually unaffected. The forehead and cheeks may be involved early on, but scaling usually diminishes in these areas with age. A notable amelioration of symptoms occurs during the summer months. A family history of hereditary ichthyosis vulgaris may be difficult to ascertain because of the varying degrees of penetrance and the general improvement of symptoms over time. 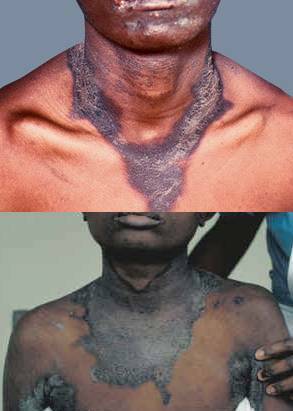 Acquired ichthyosis is clinically indistinguishable from hereditary ichthyosis; however, acquired ichthyosis is associated with various systemic diseases. The types of cancers most often found in association with acquired ichthyosis are Hodgkin disease, non-Hodgkin lymphoma (including mycosis fungoides), myeloma, Kaposi sarcoma, leiomyosarcoma, and carcinomas of the lung, breast, ovary, and cervix. Scales are small, fine, irregular, and polygonal in shape, often curling up at the edges to give the skin a rough feel. Scales vary in size from 1 mm to 1 cm in diameter and range from white to dirty gray to brown. Dark-skinned individuals often have darker scales. Different types of scaling may be found in different areas, even in the same patient. Most scaling occurs on the extensor surfaces of the extremities, with a sharp demarcation between normal flexural folds and the surrounding affected areas. The histological appearance of both hereditary ichthyosis and acquired ichthyosis is practically identical. The stratum corneum shows compact hyperkeratosis, although some areas can be laminated. 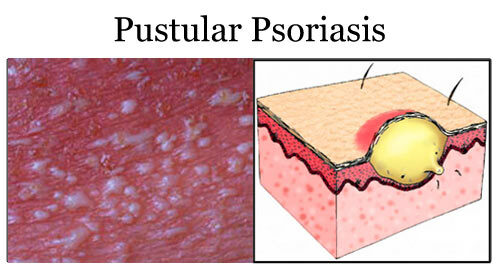 Follicular plugging may be present and represents associated keratosis pilaris. The granular layer is usually one-layer thick or absent. Ichthyosiform sarcoid, a manifestation of acquired ichthyosis in sarcoid patients, has the additional presence of multiple noncaseating granulomas in the dermis. Note the image below. 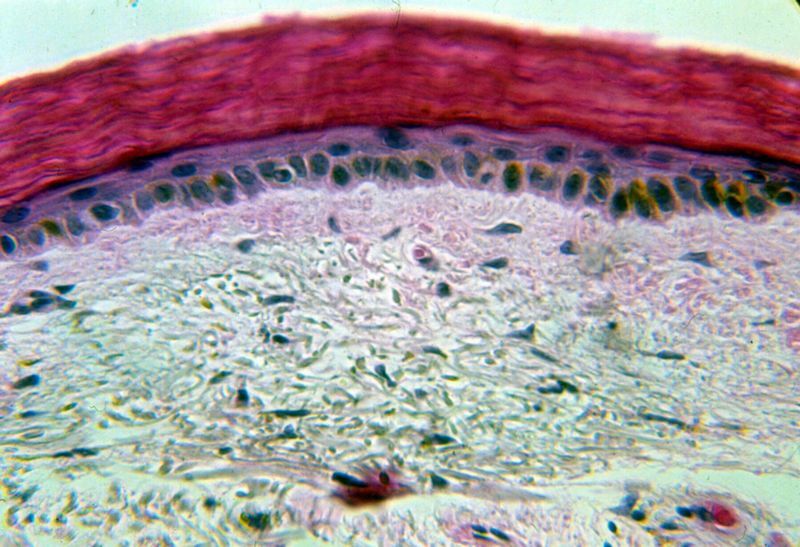 Removal of scales can be aided by keratolytics (eg, salicylic acid), which induce corneocyte disaggregation in the upper stratum corneum. A commercially available 6% salicylic acid gel can be used on limited areas. Summary: The goal of pharmacotherapy is to reduce morbidity and to prevent complications. Because skin barrier defects caused by FLG mutations allows allergens to penetrate the epidermis and to interact with antigen-presenting cells, restoration of skin barrier function with emollients may represent a pivotal prophylactic approach. Patients with atopic dermatitis and ichthyosis vulgaris benefit from therapy with moisturizers. 1. McGrath JA, Uitto J. 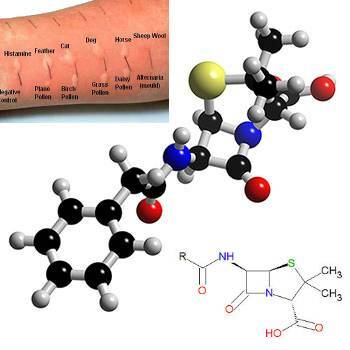 The filaggrin story: novel insights into skin-barrier function and disease. Trends Mol Med. 2008 Jan. 14(1):20-7. [Medline]. 2. Li M, Cheng R, Shi M, Liu J, Zhang G, Liu Q, et al. Analyses of FLG mutation frequency and filaggrin expression in isolated ichthyosis vulgaris (IV) and atopic dermatitis-associated IV. Br J Dermatol. 2013 Jan 5. [Medline]. He says – “I am a member or EMSA (Egyption Medical Students Association) which aims to help students to learn and how to research. I have published a question bank book for veterinary students and perparing for a clincal spots in anatomy. I’d like to help anyone want to know and learn”.